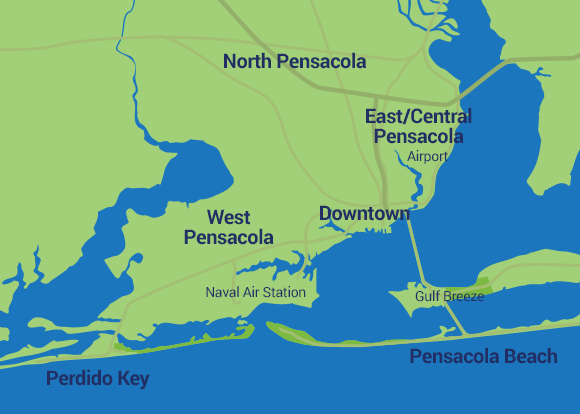 The Pensacola Bay Area embodies a captivating mix of history, culture and natural beauty, where you’ll experience Spanish, French and British influences in company with a relaxed, modern vibe. Here you’ll discover the ideal mix of unique venues, unforgettable team-building experiences and properties that offer professional amenities and services – with no resort or parking fees. Escape your normal routine and let the sugar-white sand, emerald waters and the classic Southern charm of our historic downtown serve as the perfect setting for your next meeting. No suffocating crowds, no traffic jams. Just a beautifully laid-back destination you’ll never want to leave. Visit Pensacola is here to help you increase the value and ROI of your meetings and to increase the engagement of your attendees. Let us know what you need in order to reach your goals and make your next event successful. We will provide you with honest feedback in order to match your meeting requirements with the Pensacola Bay Area services and venues which can accommodate them. Please contact us to let us know more about your organization and how we can assist in bringing an ideal meeting to reality. Submit your RFP for review or Contact Lori Coppels at 850-432-4209 to begin your meeting planning!